Andrew Menczel is one of Australia’s leading podcast producers, is a freelance cricket journalist and a Sheffield Shield cricket commentator. 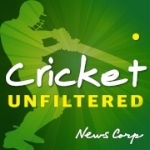 Andrew started independently podcasting in 2013 and then in 2017 began producing and hosting the multi-award nominated ‘Cricket Unfiltered Podcast’ for Newscorp Australia. Cricket Unfiltered has been a finalist in the ‘Sports and Recreation’ category at the Australian Podcast Awards in 2018 & 2019. Andrew has launched his own podcast production company called Menczel Podcast Productions and is using his expertise to produce other shows. Andrew has produced 3 different podcasts and monetised his first podcast in 2016, this was before most in the local podcasting sphere were able to. Andrew has acquired a wide a range of skills and a deep knowledge of all facets of the podcasting industry though 6 years of experience and over 300 episode releases to date. Andrew has an ear for good podcasts and an intimate knowledge of how to implement a successful podcast strategy. Get in touch if you want to find out what Menczel Podcast Productions can do for your podcast or business. Andrew Menczel found his podcasting ‘feet’ through his love of cricket and launched a successful media career. Andrew is a skilled podcast host, exceptional interviewer and is an on-air talent. Andrew has interviewed many of the biggest names in the cricket world from former Australian captains to the leading broadcasters including Allan Border, Ian Chappell, Adam Gilchrist, Pat Cummins, Josh Hazlewood and Ellyse Perry. Andrew has been asked to appear on several TV and radio stations including BBC, CNN, Al Jazeera, SEN radio and Talksport UK. This website has links to all his podcasts, columns and international TV appearances. Andrew interviewing former Australian cricketer and Fox Cricket commentator Adam Gilchrist. OTHER WAYS TO LISTEN INCLUDE SPOTIFY, TUNED IN RADIO APP OR SAY TO GOOGLE HOME "OK GOOGLE PLAY CRICKET UNFILTERED PODCAST"
Andrew launched the Australian Cricket Podcast in 2013 when he saw that there were no podcasts specifically about his great love, Australian Cricket. In his 4 years producing the show he released 203 episodes which featured a host of cricket personalities including Darren Lehmann, Adam Voges, Brad Hogg, Lisa Sthalekar and Brad Haddin. After 4 years of independent podcasting media giant Newscorp hired Andrew to produce their cricket podcast. Andrew conceptualised and now produces and hosts the Cricket Unfiltered Podcast for Newscorp. The podcast features the national team of Newscorp journalists, current players and cricket personalities. The podcast was a finalist at the 2018 Australian Podcast Awards. In 2016 Andrew Menczel and Paul Dennett started the Big Smash Cricket Podcast which is a podcast all about the Men's Big Bash and Women’s Big Bash Australian domestic T20 competitions. In its first season the podcast was sponsored by Rebel Sports. In a ground-breaking moment for Australian podcasting the podcast given official media accreditation to cover the Big Bash. Andrew has a wide range of experiences that led him to this career. As a child he was professional stage and screen actor but ceased that path when cricket took over his life. Andrew was a Cricket Australia accredited coach and coached for 10 years in Sydney. Andrew worked with some of cricket's greatest players including Doug Walters, Gary Sobers and Barry Knight. This coaching has given Andrew an in-depth knowledge of the game. Andrew then opened his own cafe/restaurant giving him a solid commercial education. In 2013 Andrew started his first cricket podcast and immediately knew that the cricket podcast was exactly what he wanted to do. His life had been punctuated by an insatiable love of cricket and the podcast was a perfect outlet for that passion. Over 4 years the podcast improved and became more professional. A guest list full of variety and insights made the show ‘must listen’ for Australian cricket fans. Now after 5 years of podcasting Andrew is moving full time into journalism. During the summer Andrew regularly appeared on TV and Radio including A CNN internatonal, Al Jazeera English News, SEN radio Melbourne, Talksport UK and SportFM in Perth.